when i posted my chocolate chip cookie recipe, i said my life had been a quest to find that perfect recipe. 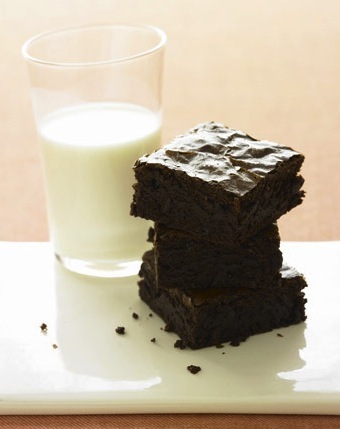 like those little chewy wonders, i have also been on a quest for MY brownie recipe, my favorite from-scratch recipe. 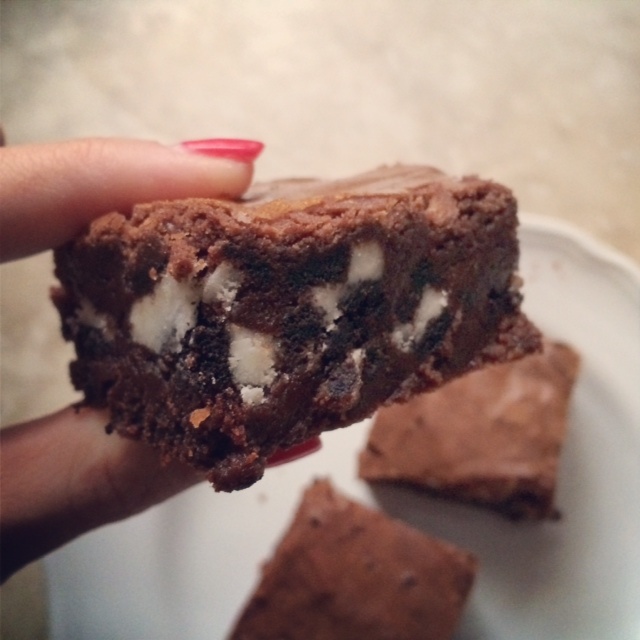 along that journey, i stumbled upon this genius thought – oreos IN brownies. now i’m proud to say that most of the time i have some self control when it comes to sweets, and eating too much. but with oreos? they are totally my kryptonite. my husband and i can easily and quickly polish off an entire package right after opening one. for reals, whoever was the very first to come up with the idea of putting these 2 together is a genius. it’s like wine & cheese, ice cream & root beer, crusty bread & hot soup, or will & grace… SO GOOD TOGETHER. 1. preheat oven to 350. spray an 8×8 baking dish with cooking spray (i use coconut oil spray). 2. put both baking chocolates and butter in a microwave-safe bowl. heat for about 2-3 minutes, stirring every 30-45 seconds, until chocolate is melted and smooth. pour into a mixing bowl and add the sugar. add in eggs, vanilla, cocoa powder, and salt – mix well. add flour and stir to fully combine. 3. spread half of the batter in prepared dish. sprinkle chopped oreos evenly over the top, then cover with remaining batter (easier if you use your fingertips to spread over). 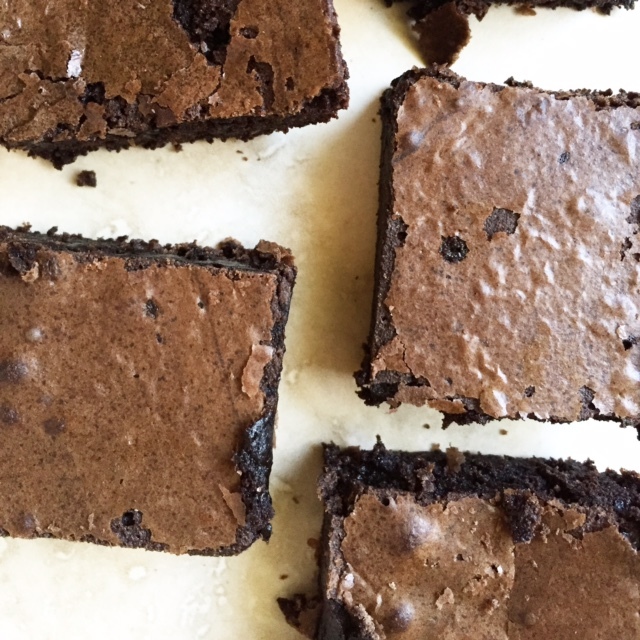 if you love chocolate and you love brownies, i am pretty sure you’re going to love this spin on the homemade fudgy brownie. even if you don’t like ginger, you can omit the ginger part of the recipe and continue on your merry way. but i do hope you like ginger. because you will be rewarded with a very happy mouth. 1. preheat the oven to 325. butter an 8-inch square baking dish. line bottom with parchment paper, allowing 2 inches to hang over 2 sides. butter parchment, set aside. 2. melt butter and chocolate together in a medium saucepan over medium-low heat, stirring until smooth. remove from heat, and stir in all remaining ingredients.